The pay scale differs for various posts. The minimum and maximum age limit are different for various posts. Candidates are advised to check official notification for the age limit. The link is given below at the end of the article. 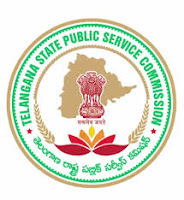 Candidates from BC/SC/ST category of Telangana State are exempted from paying the fee. PH and Ex-Servicemen are also Exempted. Unemployed candidates in the age group of 18-44 years are also exempted provided they submit a declaration that they are employed. The last date to apply online for these Sarkari Naukri posts are 11 December 2017.